Take advantage of the experience of a large community and give fraud no chance. 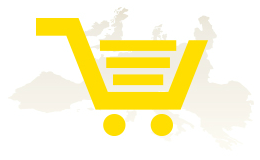 The unique service of zentrada & TradeSafe enables small independent traders Europe-wide wholesale purchasing on the Internet. 100% secure and free for resellers. With more than 400,000 members and 30,000 active buyers you are part of a strong community and can take advantage of the big European wholesale market. zentrada shares the experience of its buyers with supplier and product rankings based on usage which is certainly unique on the internet. You get reviews and comments on each supplier based on previous buyers experiences. Benefit from user experiences and help your business succeed. Probably everyone has already had bad and negative experiences in purchasing. Besides true fraud like non-delivery, plagiarism and fakes, there are often many small unintended issues such as shortages, product deviation, delay or damage that can be hard to protect yourself against due to insufficient evidence and goodwill. However, they do cost a lot of money. Through our FairTrade Policy and TradeSafe processing, fraud and failures have no space in the wholesale business. zentrada & TradeSafe stand for Europe-wide good business and satisfied customers in wholesale. Tradition and experience are the foundations for the innovative services offered by zentrada. Founded in 1949, Germany, as a journal publishing house with the "Zentralmarkt" (Central Market), zentrada is today the modern continuation of a long and successful history in the online world. Since 2002 the company is online under the brand zentrada, and since 2005 with offices, teams and marketplaces in six other European countries. Today the country portals and zentrada.eu process almost 100,000 transactions a year Europe-wide, and is an established player in the online wholesale between many independent wholesalers and retailers. Just get familiar with it - free, unlimited and non-binding. zentrada has nothing to hide and much to offer. As a leader on the European market, zentrada provides free membership to potential wholesale buyers since 2010 to try, get to know and of course also permanently free for purchasing. zentrada and TradeSafe finances our services through advertising revenues and by wholesale equitable processing fees charged to the suppliers. Why should you pay for purchasing, if you can't evaluate the performance in advance? This is fair and motivates us to serve you as a satisfied customer. As an active Frequent Buyer you get all the services and usage possibilities in purchasing, permanently free of charge. You find more information in our info portal or simply register to get familiar with it.